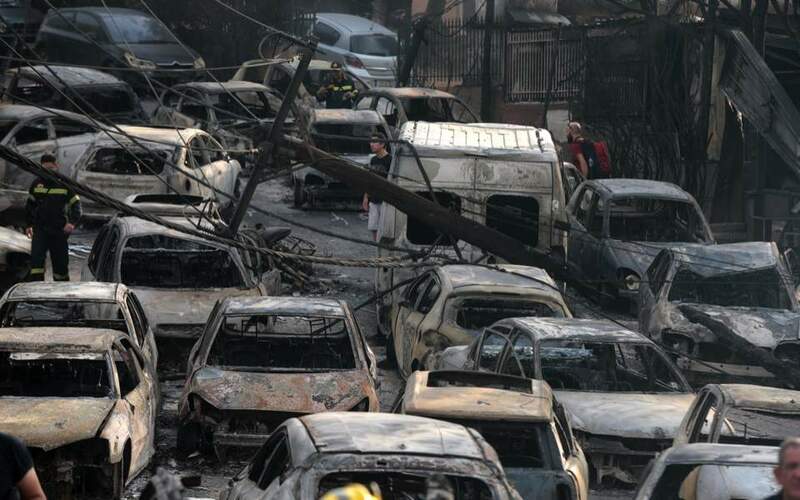 Dozens of burned-out cars a short distance from Mati, the seaside resort in eastern Attica that was engulfed by an inferno on July 23. A wrongheaded police decision to divert traffic into Mati appears to have exacerbated the tragedy. It is difficult to offer a sober and pragmatic perspective on the devastating fires that ravaged the seaside resort of Mati, east of Athens, on July 23, as the memories of the unspeakable tragedy are still fresh. And it goes without saying that any attempt to exploit the tragedy for political advantage is unacceptable. Nevertheless, our society has an obligation to the victims and society in general to discover the causes and identify who or what was to blame for the disaster. It is important that we do everything we can to prevent the recurrence of such a catastrophe. Mati, the area that was worst hit by the blaze, was clearly built without town-planning. Evidence shows that the community also lacked an emergency evacuation plan in case of natural disaster. However, notwithstanding those structural shortcomings, it is important to clarify the role of civil protection authorities and explore the extent to which the lack of coordination was responsible for the high death toll. As the fire spread from the settlement of Neos Voutzas, crossing Marathonos Avenue, the Hellenic Police made the decision to divert traffic for drivers heading north as well as south. According to witness testimonies and a police Facebook post (that was reposted by the General Secretariat for Civil Protection), the order was issued some time between 6.20 and 7.54 p.m. The decision to divert traffic appears to be the gravest in a series of operational mistakes committed that day. The problem was not that police blocked traffic on Marathonos Avenue, a stretch of which was at that time engulfed in flames; it was, rather, that instead of ordering drivers to make a U-turn and move out of the area that was about to be devastated by the fire, police directed them to take alternative routes that went through Mati. 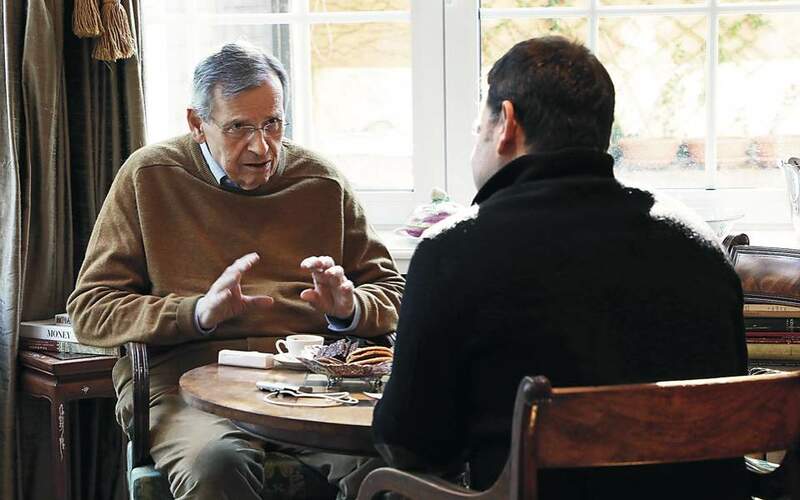 According to people’s testimonies (which include the former general secretary of the Greek Communist Party, Aleka Papariga), but also according to the police Facebook post, vehicles heading out of the capital were diverted at two checkpoints. Athens-bound cars were meanwhile diverted at a third checkpoint. As a result, unsuspecting drivers were redirected to Kokkino Limanaki and Mati. The decision to divert traffic into Mati caused traffic congestion in the settlement’s narrow streets. Vehicles came to a halt as the flames approached. Police made a fourth diversion on Poseidonos Street in the neighborhood of Kokkino Limanaki. This is close to the plot of land where 26 bodies were found huddled together after being unable to find a route to escape from the fires. The chaos that prevailed at that moment is captured in images depicting the trail of burned cars: They came to a standstill as they were trying to navigate in both directions in the area’s narrow streets. Police officers on Marathonos Avenue were of course following orders. If they had been given orders to turn the cars back on the main road, rather than toward the area where the fire was headed, that is what they would have done. The fatal mistake was clearly a result of poor coordination. The Hellenic Fire Service, the Hellenic Police, the municipalities, and the Attica Regional Authority are all involved in the handling of the crisis. But responsibility for coordinating all those agencies lies with the General Secretariat for Civil Protection, which failed miserably in its task. Judicial authorities have already launched an investigation into the disaster – and they must be left undistracted as they seek to complete their difficult task. That said, the political responsibility regarding who was appointed to the helm of the General Secretariat for Civil Protection and the performance of the state apparatus lies solely with the responsible ministers: Former alternate Citizens’ Protection Minister Nikos Toskas (who resigned on Friday), Interior Minister Panos Skourletis (whose ministry has competence over the aforementioned agencies) and Prime Minister Alexis Tsipras. Vassilis Digalakis is a professor at the Technical University of Crete’s School of Electrical & Computer Engineering.